Article by Thijs - Nearly all parts of the first production TF10 have by now been released from the moulds and the assembly phase has begun. 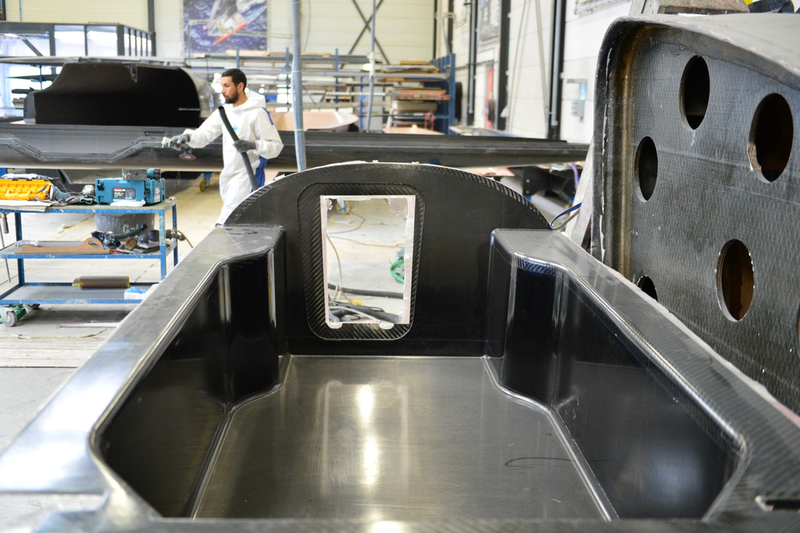 This beautiful, inspiring carbon racing machine is coming together very nicely indeed! Check out below gallery for an impression of our pace thus far. The centre hull and floats are now being prepared for further joining and finishing work. And look at those beams with the lower struts attached for trial fitting.. close to art as far as us carbon geeks are concerned! Be sure to check back as our progress continues to the launch of TF10 hull #1.